Government incentives pushed newly-installed wind-generating capacity to a new high in 2012, but the outlook for 2013 is grim, according to an industry analyst. "The year-end numbers are the ones that make the headlines, so last year was a record year," Amy Grace, a wind analyst at Bloomberg New Energy Finance, told NBC News. "But for the manufacturers … for the last quarter they’ve basically been doing nothing except laying people off." The U.S. wind industry installed 13.2 gigawatts of generating capacity in 2012 as it rushed to meet an expiring production tax credit as well as a cash incentive that was part of the stimulus package passed in the wake of the financial crisis. Congress extended the tax credit in the bill it passed earlier this month to avert the so-called fiscal cliff. It will give projects that start construction in 2013 a tax credit of 2.2 cents per kilowatt hour generated. Typically, the credit is given to projects that are completed by a certain date. The difference in language was requested by industry since it can take up to 24 months to plan, finance, and build a new project. According to Grace, only one project is currently on the books. "It is a huge question mark over what happens this year," she said. Her forecast is for just 3 gigawatts of installed capacity, though more projects will likely get started, meaning 2014 could be better. The wind industry has ridden this boom-bust cycle for more than a decade, according to the American Wind Energy Association (AWEA), due to annual uncertainty over the future of the production tax credit. 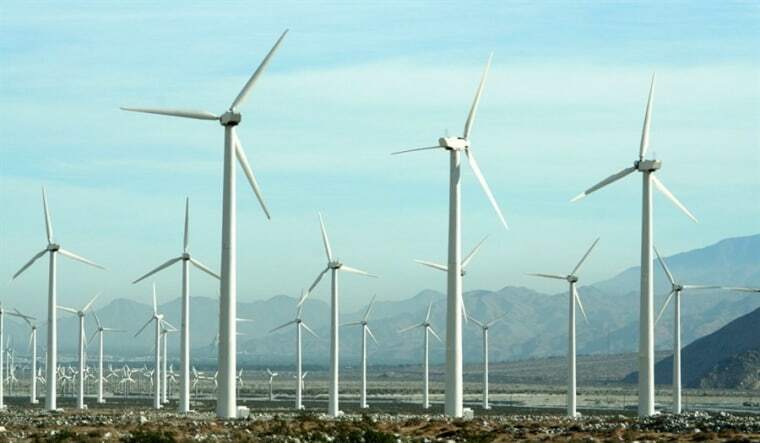 The tax credit is needed, the association argues, to keep the price of wind energy competitive. Without it, utilities are likely to focus their development efforts on less expensive alternatives such as natural gas. The loss of the incentive, according to AWEA, would translate to the loss of 37,000 jobs in the wind industry, particularly at factories that build parts such as turbines. To avert the uncertainty, AWEA has proposed a gradual phase-out of the tax credit between now and 2018, a time when wind should be competitive with other forms of energy. "With the policy certainty that accompanies a stable extension," reads an AWEA letter on the proposal sent to congressional leaders, "the industry believes it can achieve the greater economies of scale and technology improvements that it needs to become cost-competitive without the PTC." Grace, the industry analyst, said the phase-out, as proposed, is unlikely to gain traction in Congress, but it could serve as a starting point for negotiations. If it happens, she added, it might actually backfire for the wind industry because utilities will lose the sense of urgency to build new projects. Looking out to 2015 and beyond, Grace expects wind to become competitive with natural gas, which today is relatively inexpensive thanks to the boom in production driven by hydraulic fracturing, or fracking, technology. Today’s low prices for natural gas — between $2 and $3 per million British thermal units, or BTU — are commonly seen as disastrous for wind, she noted, but in the medium term it is "very good for wind." That’s because gas-fired electricity generation plants, unlike coal-fired ones, are relatively easy to turn on and off in response to fluctuating demand. Given low natural gas prices, utilities are building more gas plants and transitioning from coal to gas in existing plants. When gas prices rise, as they are expected to in a few years as the demand rises, wind will benefit, Grace said. "If you have a very gassy system, as they say with a lot of gas generation, you are not worried about incorporating more wind onto your books because you have a lot of gas that you can turn on and turn off when the wind dies or the wind speeds up," she explained. While she doesn’t expect the record set in 2012 to be shattered anytime soon, the market could hit stable growth of between 3 and 6 gigawatts per year.